OWTU president general Ancel Roget has described a Cabinet-appointed committee headed by Energy Minister Franklin Khan to negotiate new energy deals as a “joke” which prominently displays Government’s lack of direction for the energy sector. At last Thursday’s post-Cabinet news conference at the Diplomatic Centre in St Ann’s, Minister in the Office of the Prime Minister Stuart Young said the committee, chaired by Khan, had been mandated to hold negotiations later this month with Shell and British Petroleum (BP). Other members of the committee include Young, National Gas Company president Mark Loquan, former finance minister Wendell Mottley, attorney Richard Beckles, energy advisers Richard Jeremie and Leroy Mayers and representatives from the law firm of White and Case. “His non-direction, he is very silent on Petrotrin,” he said. He also expressed disdain with the other committee members including Young and Mottley and wondered why such energy gurus as former Petrotrin chairman Andrew Jupiter had not been included in the committee. 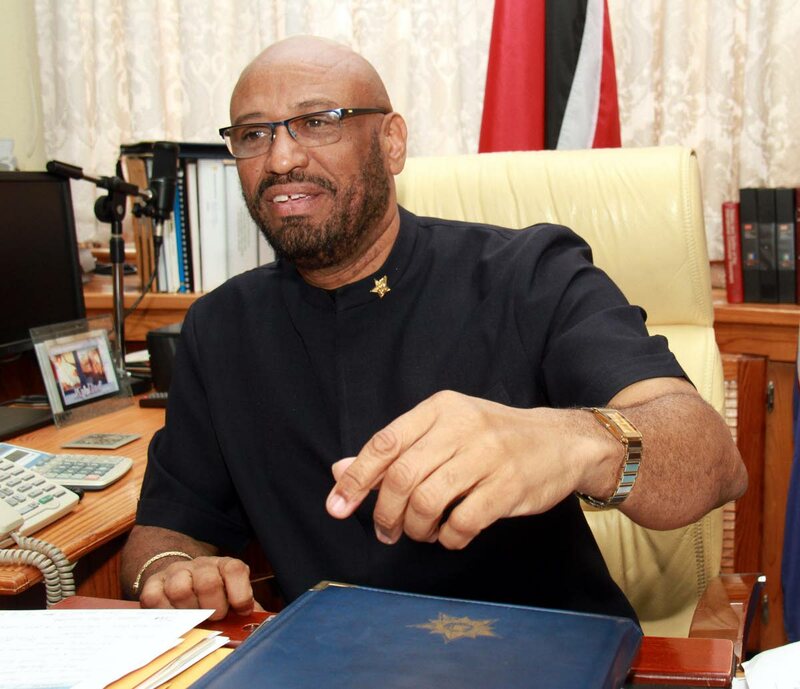 On current Petrotrin chairman Wilfred Espinet’s statement regarding governmental interference in the State-owned oil company, Roget agreed there was significant political interference in its operations. “Petrotrin has been inflicted with a lot of political interference by each of the various political parties whenever they are in power. Political interference which has nothing to do with the intention for Petrotrin to perform, but its sole intention is for the different political parties to put their people, their supporters, their investors in top positions in Petrotrin,” he said. Roget also commented on Government’s mid-year review which is scheduled to be delivered by Finance Minister Colm Imbert on Thursday saying the union expected increased taxes and more unemployment. “They have failed to manage the economy, how much budgets they have produced? Three, 2015, 2016 and 2017, and we have seen absolutely no indication of them taking the economy in a positive direction,” he said. Reply to "Roget: Govt energy team a joke"